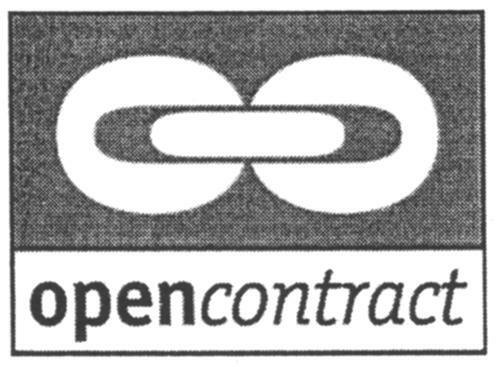 On Wednesday, July 23, 2003, a canadian trademark registration was filed for the above pictured logo by TRANSZAP P2P CANADA, INC. 205 5th Avenue, SW, Suite 400, Calgary, ALBERTA, CANADA T2P2V7. The Canadian IP office has given the trademark application number of 1186229. The current status of this trademark filing is Registration published. The correspondent listed for is OSLER, HOSKIN & HARCOURT LLP of SUITE 1900, 340 ALBERT STREET, OTTAWA, ONTARIO, CANADA K1R7Y6 The trademark is filed in the description of Computer software for business to business e-commerce services, namely: intra-business and inter-business communications relating to pricing information between a company and its suppliers, maintenance of master pricing agreements, coding of invoices, contract administration. , Provision of business to business e-commerce services by way of a global computer information network and internet site, namely: intra-business and inter-business communications relating to pricing information between a company and its suppliers; maintenance of master pricing agreements; coding of invoices; contract administration services. , Provision of consultation, design, information and support services relating to the use of the computer software and the global computer information network and internet site. , Printed materials, namely: instructional and user manuals relating to business to business e-commerce services, namely: intra-business and inter-business communications relating to pricing information between a company and its suppliers; maintenance of master pricing agreements; coding of invoices; contract administration. , Promotional items, namely: t-shirts; golf shirts; sweat shirts; hats; jackets; vests; writing pads; pens; mugs. , Licensing of computer software for business to business e-commerce services, namely: intra-business and inter-business communications relating to pricing information between a company and its suppliers; maintenance of master pricing agreements; coding of invoices; contract administration. .
Mark Disclaimer: The right to the exclusive use of the word CONTRACT is disclaimed apart from the trade-mark. (1) - Computer software for business to business e-commerce services, namely: intra-business and inter-business communications relating to pricing information between a company and its suppliers, maintenance of master pricing agreements, coding of invoices, contract administration. (2) - Provision of business to business e-commerce services by way of a global computer information network and internet site, namely: intra-business and inter-business communications relating to pricing information between a company and its suppliers; maintenance of master pricing agreements; coding of invoices; contract administration services. (3) - Provision of consultation, design, information and support services relating to the use of the computer software and the global computer information network and internet site. (4) - Printed materials, namely: instructional and user manuals relating to business to business e-commerce services, namely: intra-business and inter-business communications relating to pricing information between a company and its suppliers; maintenance of master pricing agreements; coding of invoices; contract administration. (5) - Promotional items, namely: t-shirts; golf shirts; sweat shirts; hats; jackets; vests; writing pads; pens; mugs. (6) - Licensing of computer software for business to business e-commerce services, namely: intra-business and inter-business communications relating to pricing information between a company and its suppliers; maintenance of master pricing agreements; coding of invoices; contract administration.